As we swam in the warm, crystal clear waters of Schroon Lake the other day, we marveled at how clean and healthy the lake is. Our sons snorkeled and saw several fish. Underfoot I stepped on a bed of muscles (the good kind). It was one of those days that you could see deep to the bottom of the lake near the shore. A world away from the winter months when our daughter ice skates on the very same spot and those short days when we watch those hearty souls bring up some fair size catches through holes in the ice. This place enriches us! We often say that there is something about that lake water that is simply rejuvenating and wonder why this piece of paradise is not like other lakes. The simple answer, as we discovered a while back, can be attributed in part to the tireless efforts of the Schroon Lake Association (SLA). 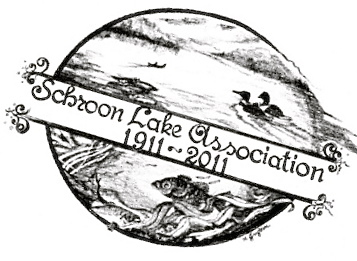 Today the association officially celebrates 100 years of keeping our lake healthy and pristine. The Association came about in 1911, when several prominent locals heard about a proposal to dam Schroon, Paradox and Brant Lakes and they didn’t want any part of it. The rest is history – and the SLA has a lot of it. You can learn about it today, starting at 1pm, in the Town Park, at the big SLA 100 birthday bash. Check out the displays, that include a timeline chronicling the SLA’s achievements, learn about the new watershed management program and efforts to wipe out invasive species, like the Eurasian Milfoil. And there will be plenty of fun, as well. We’ve been told by an insider the musical performance by the Aquanauts, is not to be missed. There’s a scavenger hunt staring at 3 pm, free pontoon boat cruises around the upper lake, a continuous video presentation, music throughout the day and local restaurants will have food and drinks. A time capsule will also be buried. You can buy a commemorative T-Shirt designed by local artist Anne Gregson, who came up with the very cool logo below. And if you are not a member, consider signing up today. Got a story about the lake to share? Wanna give a special shout out to someone you know who has made a difference to the lake’s well being? Tell us in comments.